The English Martial Arts Academy has been teaching traditional English Martial Arts for over 20 years. The English Martial Arts Academy teaches one of the most effective branches of HEMA. Traditional English Martial Arts. We teach both a selection of weapons, from Quarterstaff to single handed and two handed swords, to dagger; and we also teach a number of unarmed systems. The striking arts of Classical Pugilism, and traditional English grappling systems such as Catch as Catch Can Wrestling and Backhold. 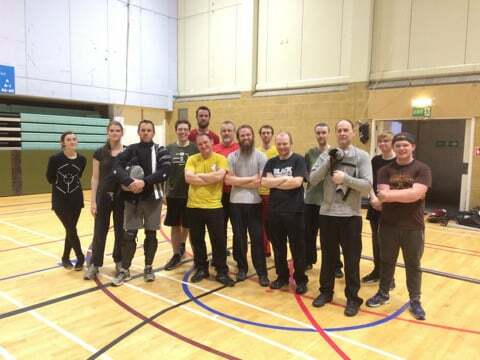 There are many HEMA groups in the UK, and the number is growing rapidly, but the English Martial Arts Academy is one of the oldest and most long-standing groups in the world. Here is a video made by a member of the English Martial Arts Academy describing exactly what HEMA is. See if you can spot our Chief Instructor in there! Come along and give it a go, your first lesson is FREE!